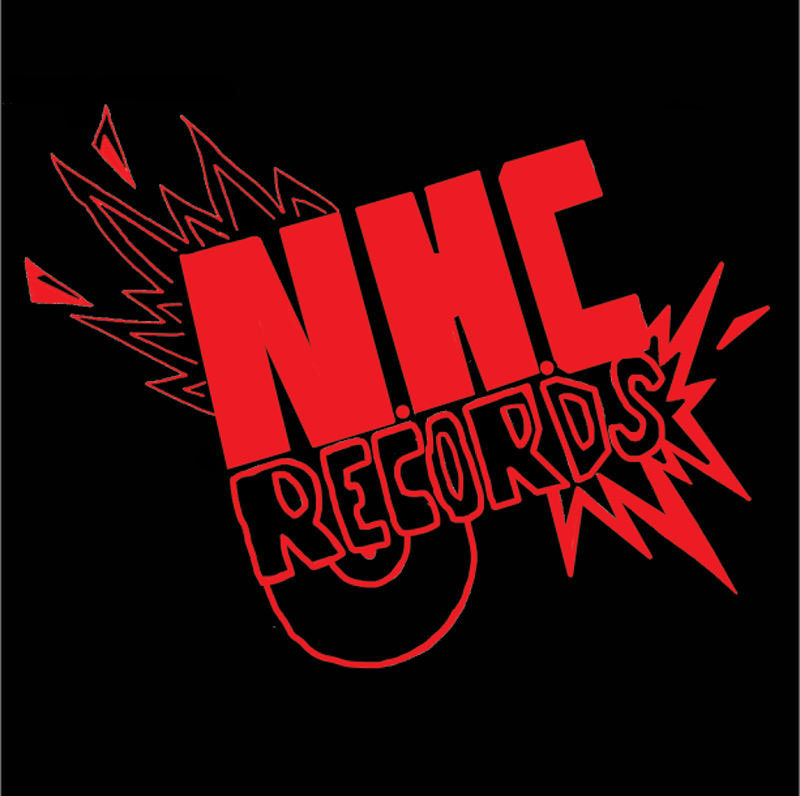 Well, we did it, we have been threatening to do it for bloody months now, but our own LP and a handful of co-operative releases were already churned out before we finally decided that it was time to continue the growth of NHC MUSIC with an attached record label. So we did, and the very first release on the label will be our new compilation of independent acts, which you will be hearing all about on the record label page (and the main page too) for the next couple of months. It's exciting stuff. Although part of the main NHC family, the record label will stand alone, and will even have it’s own small team working on dedicated projects via it, rather than working on main NHC projects. Bands that are on any of the releases, including compilations, will be promoted regularly on the label page, as will new releases of their own too. This year we are planning, on top of the fantastic compilation we already have on the go, another 2 definite compilation LP’s. One will dedicated to hard rock and metal, and the other will be dedicated to punk and ska. There will also be an acoustic one on the cards, if we have enough people interested in it that is. That will decide whether we will have 2 or 3 for the end of the year. That’s not including the 2 cd compilations we have on the cards, and there is always the possibility of stand alone co-operative releases that we will take on a case to case basis. Hell, that’s before we even start looking at our favourite bands that we might want to sign up for an exclusive release! Where is the fun in having a label if we don’t get to sign up the odd band? So how do you get involved in the releases we have planned? Well if you are a hard rock, metal, punk, ska, or acoustic act, then pm or ask on the page, we do the compilations very differently to any other record label, in the sense that all acts and us chip in for the release itself, bands on the compilations pay in £120-£160 for a slot (depending on amount of tracks on the lp, we will probably be able to fit more punk songs on an LP than metal songs! ), but for that they get 40 LP’s to sell themselves at a tenner a pop, that price they pay also includes mastering costs too, and if it comes to more, we cover it. NHC Records will work in conjunction with NHC MUSIC and pay for all the promotion, posters, and artwork costs itself, we will even get an interview for every act on the run up to the release, promotion on the main page for every band involved, and you’ll be on a bloody record too! We will do all the middleman stuff absolutely free, the compilations are not a money maker for us on this label, they are to help promote bands that NHC MUSIC works with, and for the first year they will work to help us get our name out there too. It's win win. These three releases will be planned for Oct/Nov release this year, in plenty of time for Christmas shoppers. £30 deposit gets your place on the compilations (we need minimum ten for each one to make it work, but we do have a waiting list already so lack of interest is not something we are worried about!) and then you can either pay the rest up monthly, pay it all upfront, or you can wait until August to pay the rest. It’s totally up to you. We will even organise release gigs for each one, and will cover all that bit ourselves too. It's the simplest, and cheapest way to get your band on a record. That’s how we can do these releases, and how everyone can make money from it too, by working together on larger projects, the very ethos that started NHC in the first place. Together we can do more, it’s that simple. The two planned CD compilation releases will be a summer one and a Christmas one. The summer one will be paid for by us until we can recoup the costs from the first few sales, and we will include as many bands from our first two LP’s on it, again we cover artwork and promotion from our end, every bit of cash after costs will be split between the acts on the bill! The Christmas CD will be covered by us in it’s entirety, and all profits will be used to buy warm clothes for our yearly big heat the homeless campaign. So get involved if you can, this year already looks bloody exciting, and there is so much more to come!